Our instructor team is the most experienced and professional in the UK. You can read more about our instructor team and their experience here. I have trained with another Krav Maga club before do I need a trial class? If you have previous Krav Maga experience you do not need to enrol for the trial class and can start training straight away. Contact info@institute-kravmaga.co.uk to discuss your training level and getting you into class at your chosen location. No joining fee required if you are a returning Institute Member. Krav Maga involves controlled physical contact and with any activity involving contact comes the inherent risk of personal injury. At the Institute we recognise this better than anyone, so we require that all of our members wear protective equipment during class. The minimum requirement for training is a groin guard and gum shield. You can easily order protective equipment from our webshop here. Can I attend any class? If you are a member you can attend any class that is listed on our website which is relevant to your experience in Krav Maga. As you move through the grading system you will begin to attend other classes as your experience grows. There are white belt classes every day but we also encourage you to attend the All-Level sessions to meet – and learn from – other, more experienced members who have been training in Krav Maga for a longer period of time. You can see our classes here. After my trial class do I have to pre-book my place in classes? YES. When joining the regular membership program, you will be given access to our online app system. Booking your classes via the online App will give you live data of the amount of sessions you have attended to help keep you on track for the next grading. It also help us to control class sizes, but also aid as a helpful tool if we urgently need to communicate any information for that specific venue you have booked on for. If you are not currently a member then you need to attend a trial class first. You can book that here. What should I do when I arrive at the venue? You do not need to be a member of any of the health clubs and sports facilities that we use, simply mention you are there for Krav Maga and you will be granted entry. Please do respect the training venues that we provide. Our club members are able to use the changing rooms and showers however; you are not able to use any fitness, weights or swimming facilities. I want to return to the club? 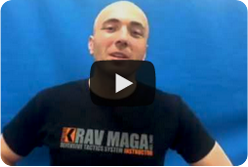 If you decide to return to the club after being away, simply drop Marisa an email on info@institute-kravmaga.co.uk. There is no additional induction to take or joining fee to pay. We also offer FREE refresher inductions for those who want to revise the foundations of Krav Maga prior to re-joining our weekly classes. I am moving away and need to leave the club, how do I cancel my membership? Notice needs to reach us 7 days before your next membership payment is due to leave your account. Failing to provide sufficient notice will result in an additional months charge. Notice Period And Training – You can still access classes within your notice month, if you payment for example leaves your account on the 25th of the month, you can still access classes until the 24th of the following month. I need to take a short break for work/family/travel commitments? No problem, you can take a month break once a year outside of the normal club training breaks, as long as you have trained with us for at least 3 months all you need to do is to email Marisa (at least 7 days before your next payment is due to leave your account. Suspension notices will not be honoured if sufficient notice were provided) on info@institute-kravmaga.co.uk. Your monthly fee will then be reduced to £25.00 for one month to keep your place in the club whilst you are away. Please note if you decide to cancel your membership within/after the suspension month you will still be required to give normal notice. See membership cancellation for more details. I have a query about my membership, where can I get some assistance? With Krav Maga as with so many things in life you get out what you put in. However Krav Maga was designed to be easy to learn and efficient. The techniques develop our natural responses so you’ll feel progress very quickly. Do the classes run all year? Our classes operate all year, except on bank holidays and for two weeks during the summer when the Instructor team travel for further education and continuation training. The dates for this 2 week break will vary each year, however; it is usually between the end of July to early August. We also close for the Christmas and New Year period. Exact dates will be posted on the website and sent out via email before the breaks. Please ensure you train as much as you can around these breaks to ensure you keep your skills at an optimum level. What should I wear to my trial class? Your Krav Maga trial class will involve exercise so its a good idea to wear some comfy training clothes. Tracksuit or training trousers and a t-shirt is a good start. Also comfortable trainers are perfect. Joining us couldn’t be easier. Click here and you can pick your trial class date and book it in just a few clicks. We are sure you’ll enjoy the trial and you can join us fully afterwards.